Men’s golf annually features four major events showcasing the game’s most important championships. In the leadoff spot—the Masters. The annual spring classic is held yearly at Augusta National Golf Club. The Masters benefits from its position on the calendar—winter in the rear view mirror with spring bursting on the scene. In June the U.S. Open follows with the final round played traditionally on Father’s Day Sunday. The U.S. Open is the national championship of American golf and is the second oldest major championship. The oldest major is also the most prestigious globally—The Open. The simplicity of the name says it best. No need to say The British Open because The Open sets the bar for all other “Open” events that followed—including the U.S. Open. The final major of the year, the PGA Championship, is routinely held in August and often is anticlimactic even though changes made in recent years with quality host sites has helped. What Makes ‘The Open’ So Special? 1. It’s where the game started and evolved. 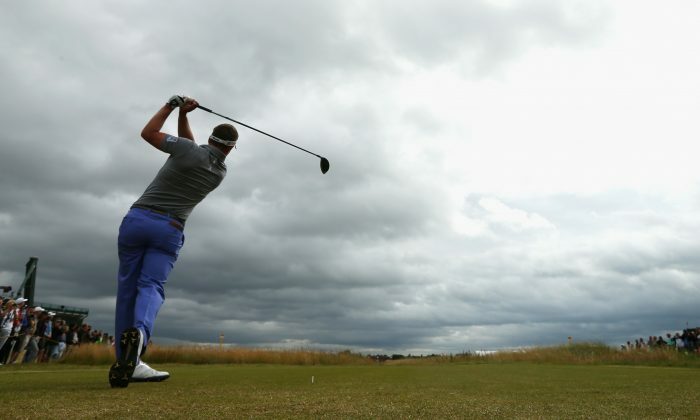 Scotland lays claim as the home of golf, and although this year’s event is being staged in England at Royal Liverpool, The Open itself provides the crucial starting point as the genesis for competitive golf. The first Open was played in 1860—even prior to when the American Civil War commenced. The Open ties together the likes of Old Tom Morris to present times with Tiger Woods. Credit Arnold Palmer for resuscitating a dying event. Palmer had won The Masters and U.S. Open in 1960 and when he came to The Old Course at St. Andrews during the centennial event, the King of golf was looking to win all four of the game’s major events in the same calendar year. Although he finished second, Arnold returned the next two years and won The Open on both occasions. Palmer’s visit rejuvenated an event that seemed more about nostalgia than relevance. In a short order of time the ascension of The Open gained increasing stature with the likes of Gary Player, Jack Nicklaus, Lee Trevino, Tom Watson, Greg Norman, Seve Ballesteros, Ernie Els and Tiger Woods each playing major roles in winning multiple Open titles respectively. 2. Open to all players via global qualifying, as is the U.S. Open, but The Open is the oldest “Open” event in the world. The Open is truly the global golf championship, with notable international players beyond the USA thrusting themselves onto the world golf stage. Names such as Gary Player, Greg Norman, Seve Ballesteros, among others, all made their debutantes at The Open. World qualifying sites are routinely used now so all talented players from all corners of the planet have an opportunity to play in the world’s oldest major. 3. It’s subject to the vagaries of changing weather—wind, rain, bounce of the ball. Winning The Open means contesting the event annually on bonafide “links” courses. Weather can change dramatically—even in one day. The classic recent example being the 3rd round of the ’02 Open at Muirfield. Tiger Woods had won the first two majors that year and was in fine position to make a run for the title that year. The afternoon weather turned especially fowl—heavy winds with sideways falling rain caused scores to balloon. Woods shot his highest round in a major with an 81. Players realize mental discipline and being able to adjust quickly to varying challenges is critical in order to remain in the hunt. 4. All of the game’s greats have validated their standing in winning The Open. From the days of Old Tom Morris to the likes of Walter Hagen and Bobby Jones, to Sam Snead winning at The Old Course at St. Andrews immediately after WWII; through Ben Hogan’s epic win in his lone appearance in 1953 at Carnoustie; to the rebirth of The Open with the arrival of Arnold Palmer; to three wins from Gary Player in three different decades; to the enduring consistency and dominance from Jack Nicklaus, to the links mastery from five-time winner Tom Watson and the modern day ascension of Tiger Woods—all of the greats in golf have made the pilgrimage and cast indelible competitive accomplishments at The Open. Less appreciated by average golfers when held against the awarding of The Green Jacket—emblematic in winning The Masters—the Claret Jug is golf’s most magnificent and enduring trophy. On top of receiving The Golf Champion Trophy, the exact formal name, is the short but ever definitive utterance from the R&A’s Chief Executive Peter Dawson—set to retire in 2015. Last year’s winner Phil Mickelson played in his own words—the round of his life—in winning a title few, including himself, likely thought possible. Lefty’s pride in beating a world class field and in doing so at iconic Muirfield was indeed worthy of the tagline—”Champion Golfer of the Year” and possessor of The Claret Jug.